First and foremost, congratulations to Israel Starr on the win in last years Vodafone Music Awards for Best Roots Artist. I say it’s about time this man got the recognition he deserves, bless up! I received this tune a few weeks ago and added it to the playlist that I have in the background while I work. I found myself checking my music player to see who it was. 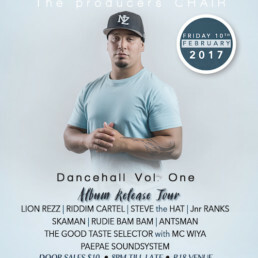 I have noticed a real resurgence in the digital sound within dancehall in the past few years and I for one welcome it. By the sounds of this, so have Tomorrow People. This tune, in particular has so much happy energy about it. I’m not much of a dancer myself, but this riddim could get me up and on my feet. The production from Reality Chant on this track is superb. Perfectly-timed keys on a galloping bassline with feel-good horns thrown in, that really brings this up-tempo track together. 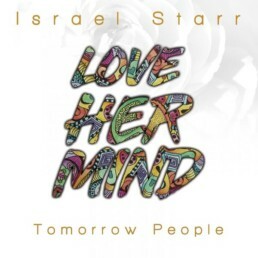 I have reviewed Israel in the past for NiceUp and I will say the same as in my last review – the man has so much versatility in vocal range and style. 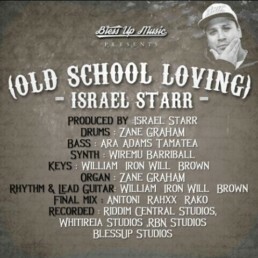 Israel’s vocals shine on this love song. This guy can sing, like really sing, something he proves again on this track. And lyrically the song just feels good, nice in ya belly kind of feeling. 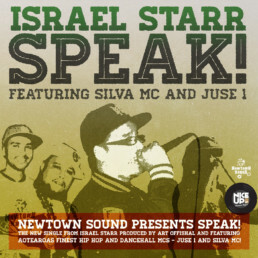 New Zealand reggae runs deep and we are known worldwide for our love of this sound. We have a broad range of artists and bands that have proven this for decades. And with the likes of Israel Starr and Tomorrow People, we are in good hands heading into the future.